The Royal College of Chiropractors has opened a consultation on a draft Osteoporosis Quality Standard and is seeking the views of all stakeholders including interested organisations, chiropractors, other healthcare professionals, patients and the public. You can read the draft document and participate in the consultation here. The Royal College of Chiropractors is pleased to announce a new Undergraduate Essay Competition. Open to all undergraduate students currently studying chiropractic in the UK, this competition provides an opportunity for students to develop and share their thinking about the current status and/or future of the profession. The winner, and the runner-up, will each receive a certificate and an expenses-paid trip to the RCC’s AGM in London on 30th January 2019. Their essays will also be published in an RCC publication. The winning author will, in addition, receive a £150 cash prize. The Royal College of Chiropractors is pleased to announce that a number of bursaries are to be awarded for the 2017/18 academic year to enable members to register for Masters-level modules in Research Methods, Evidence-based Practice or Clinical Audit. For more information and to apply visit: Research Study Bursaries. Deadline: 12 noon, Friday 9th November 2018. Released this week, the Musculoskeletal core capabilities framework for first point of contact practitioners is essential reading for chiropractors. Published by NHS England, Health Education England and Skills for Health 2018, the Framework was developed with the Arthritis and Musculoskeletal Alliance (ARMA), of which the RCC is part, and a range of other stakeholders across the whole MSK sector. See here for details. We are delighted to announce the launch of a brand new tool and resource for chiropractors - The Royal College of Chiropractors Environmental Assessment Tool: Is your clinic dementia friendly? The RCC is pleased to announce the availability of research grants to support staff costs in relation to research projects commencing during 2018. Applications are invited from UK institutions to fund the costs of personnel undertaking research in the UK, but may relate to projects that involve collaboration with partner/s overseas. Applications will be considered for projects in any area of research relevant to neuro-musculoskeletal health. Priority will be given to projects adopting an innovative approach. RCC Innovation Grant holders will be eligible for NIHR Clinical Research Network Support if their project is of clear and demonstrable value to the NHS. The deadline for receipt of applications for projects commencing in 2018 is Friday 27 July 2018. Applications will be considered for projects addressing one or more of the RCC’s priority areas for research. The deadline for receipt of applications for projects commencing in 2018 is Friday 27 July 2018. For both types of grant, please visit this page for full details, application forms and Conditions of Award. The RCC is pleased to announce the launch of a new educational programme, which will lead to the award of an RCC Diploma in Pain Management. Part 1 of the programme comprises an online learning module, entitled Understanding Psychosocial Barriers, which is available now and can be studied on a stand-alone basis. Parts 2 and 3, a hands-on seminar and clinical logbook, are currently under development. Further details are here. Registrations for the RCC's 2018 Summer Conference, which is being held in Birmingham on Saturday 2nd June, are now open. 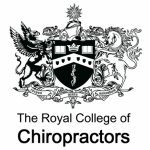 The Royal College of Chiropractors is pleased to announce the availability of a number of overseas travel grants for chiropractic undergraduates.